Three years after its release, the Runcam 2 is still a popular action camera for the budget minded flyer. At a sub $80 price point, it’s a great entry level camera that works on a variety of setups. While the camera was designed with FPV quadcopters in mind, it does have some interesting weak spots that we think should be pointed out. If you are looking to get the longest lifespan out of your Runcam 2, or simply researching the weaknesses before purchasing, read on! First, lets take a quick look at the Runcam 2’s design. 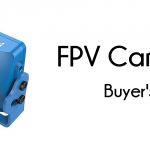 The low-profile camera was designed by Runcam specifically for the FPV market. Its design was inspired by the earlier Runcam 1 and Mobius action cameras popular with RC aviation enthusiasts in the early 2010s. The Runcam 2 can capture footage at 1080p@60fps. It has a removable battery, long run time, and is generally lighter than most other popular action cameras (looking at you, GoPro). Additionally, the camera has a ton of other additional niceties. Features such as a removable lens hood, RF shielding, and WiFi connection all were designed with the drone pilot in mind. So why isn’t the Runcam 2 more popular? While it had its time in the sun, the GoPro Session quickly became the go-to for pilots looking to capture amazing footage. With much better recording options and a better form factor for high-camera tilt mounting, the GoPro Session was hard to beat. 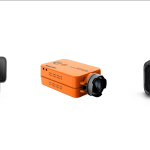 The Runcam 2 has remained in the hobby due to its competitive pricing compared to GoPro cameras. However, the GoPro Session line was canceled in late 2017. While you can snag some great deals on the Session right now (they can be found on Amazon for only $115! ), the stock will eventually run out. This leaves a bit of a vacuum in the action camera market. 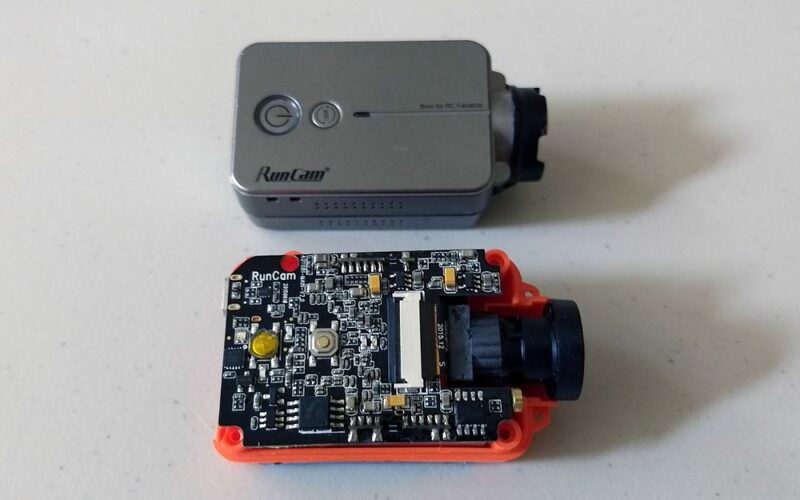 Thus, if you are looking for a budget camera like the Runcam 2, you likely want to protect it for the long term! While a durable camera, it does have its weak spots. We compiled the areas you should watch out for when prepping your Runcam 2 for flight! No action camera is perfect. 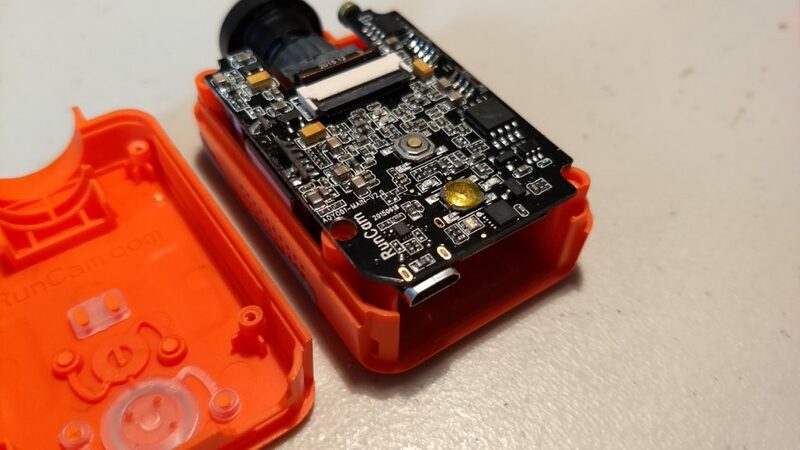 While the Runcam 2 can take a beating, it has weak spots you should pay extra attention to. Look for mounts that have proper support for the angle. There is a reason the GoPro Session became so popular within the FPV community. Box cameras are much easier to tilt back to match the FPV camera at high viewing angles. If you are consistently flying at 30 degree or greater tilt, the Runcam 2 will require a rather large profile mount. The longer camera means you need a longer mount base and height to get the same tilt. While a GoPro Session or other box cameras can be mounted on a simple wedge, you need a lot more room for the Runcam 2. You will struggle mounting this camera on a true-x frame or more compact builds. On the other hand, if you are flying a racer with a large top plate (like the Wizard X220), there are a ton of mounting options that can be found on Thingiverse and other 3D print aggregators. Solution: The Runcam 2 is best used on quadcopters with a larger top plate. Search Thingiverse for a mount that works with your quadcopter’s frame. There are a massive amount of mounts available, so it is usually worth spending a good amount of time searching (e.g. searching for “[my drone name] “Runcam 2 mount” 3d print” on Google). Specifically, look for mounts that have good vertical support, as these tend to be the weak spots in most user made 3D printed designs with larger tilt. We rarely see this mentioned, but in our experience the top buttons are absolutely the weakest spot on the camera. We’ve abused our fair share of Runcam 2s, but only ever killed them by damaging the top buttons. Here’s what happens – you are out doing some crazy acro and crash upside down. Oops, it happens. You would expect maybe the top of the camera to get a bit scuffed, but if the power button gets stuck, it is virtually impossible to fix. The button compresses into the case and becomes inoperable – which means no more powering on or starting / stopping recording. You can of course disassemble the Runcam to refit the button, but you will discover that the button sits on a small pad that tends to become indented after the button compresses on it. Even after fixing the button, the camera fails to turn on or record consistently after being reassembled. The rear larger gold button can become damaged if compressed. This may sound really rare, but we killed multiple cameras this way. Part of the issue aligns with our first problem – the large mount required to achieve better camera tilt makes the camera sit higher off your frame. Certain mounts leave the top plate of the camera more exposed, meaning that your action camera takes the brunt of an upside down or forward high tilt impact. Solution: Cover and cushion the top buttons. Make sure that your camera mount has some sort of top protector that shields or at least puts some plastic between the buttons and the ground. If you have some extra space in your mount (or design your own), put a bit of foam in between the top plate and buttons. At the very least, make sure the camera isn’t the highest point of your quad. The rear door of the Runcam 2 is surprisingly sturdy. However, in bad crashes, there is a chance that the door can loosen and slide slightly off the back of the camera. If the door is loose, there is a very good chance it breaks in a subsequent crash, or you will just straight up lose it while flying (and possibly the battery too!). 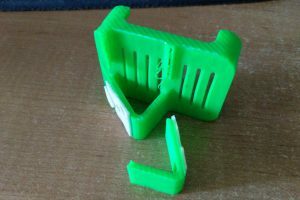 The back plate can become loose after many crashes. The USB connector is also susceptible to damage. 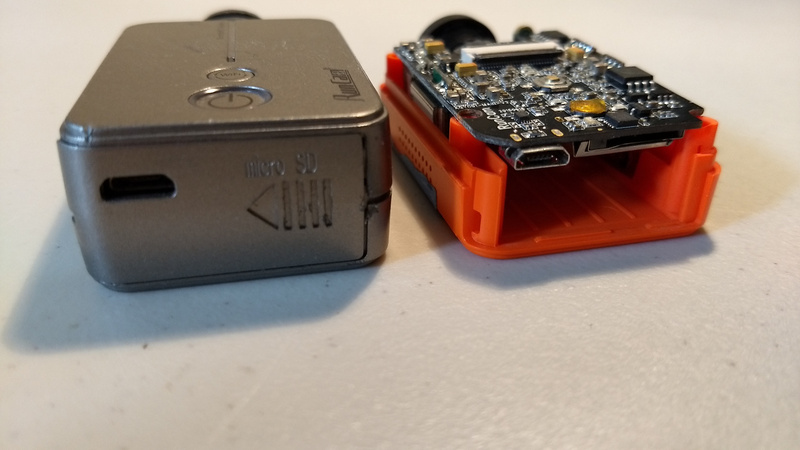 Similarly, the Runcam 2 can be powered by your onboard LiPo, rather than using the supplied battery. However, we really don’t recommend it. Yes it can save weight, but in case of a crash that causes the battery to disconnect (which are a lot of mine!) you will most likely lose your last recorded footage on the Runcam. Most action cameras cut and dump the active recording when powered off forcefully rather than writing it to the SD card. Solution: Don’t fly with the USB cable connected (not really relevant in 2018) and use a mount that covers the back assembly. After a crash, make sure that the back cover is correctly in place. The 720p video offers double the frame rate of the 1080p version. If you are looking to capture slow motion video to highlight rolls and spins, you might be tempted to use the 720p mode to take advantage of the high frame rate. For the most part, you want to use at least 1080p 60fps video when flying. Don’t go lower than either of those numbers when shopping for a camera. For the Runcam 2 specifically, definitely stick with the 1080p@60fps setting. This is going to be rather subjective, but we have had great luck with Runcam’s customer service. We destroyed multiple Runcam 2 cameras, and each time were able to get a replacement free of charge. However, this is just our experience. We’ve read horror stories of pilots only receiving a marginal credit or refund after a lengthy back and forth process. As always, if you purchase an additional damage warranty, be sure to understand what it covers and what it doesn’t. This can be very helpful when writing your support ticket to claim the warranty. Final thoughts: is the Runcam 2 worth buying in 2018? Even in 2018, the Runcam 2 holds its own as an entry level drone action camera. If you are flying a quad with a larger top plate like the Eachine Wizard, you should have little issue finding the space to mount the Runcam 2. Additionally, if you are into other RC hobbies, the Runcam 2 is a great camera for mounting on aircraft and RC cars. At the same time, you will struggle mounting this camera on a true-x frame or more compact build. If you fly at high camera tilt, matching the tilt with the Runcam 2 can be cumbersome and will require a larger mount. Luckily, the prevalence of this camera has made for hundreds of different 3D printable mounts that can be had for free if you have access to a 3D printer. With the new budget GoPro Hero commanding a $199 price point (RIP Session), the Runcam 2 still has its place in the sub $100 market. Considering that most of the GoPro clones in the budget price range have questionable qualities and features, a camera built with FPV in mind is likely the safer budget purchase. 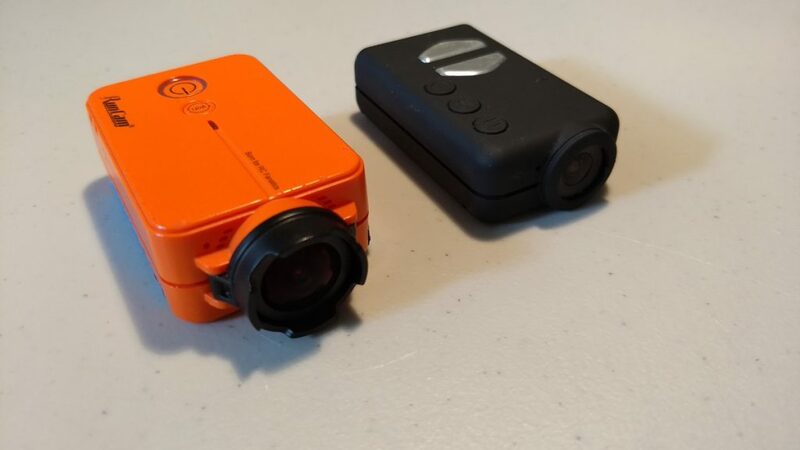 I think the real question going into late 2018 is, “will more cameras like the Runcam Split grow in popularity?” Completely abandoning a secondary camera for recording has a ton of benefits: savings in weight, no need for a bulky mount, and a significant cost savings to buying both components separately. As always, the hobby continues to evolve at incredible speed. While GoPro’s Session will fade away, a new, lower cost, and FPV friendly solution will likely come around. We can’t all afford 360 degree action cameras after all! 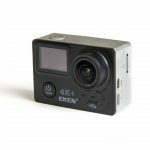 If you are in the market for an action camera, definitely check out our buyers guide here! 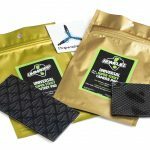 We cover the major players in the FPV racing market and what to look for when purchasing a drone action camera.